Are there any features to regular trekking poles that adjustable cross-country ski poles do not have? 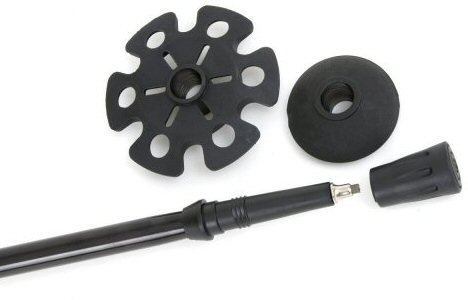 I know that many people use trekking poles for snowshoeing but are there any reason adjustable cross-country ski poles won't suffice for either snowshoeing or trekking? 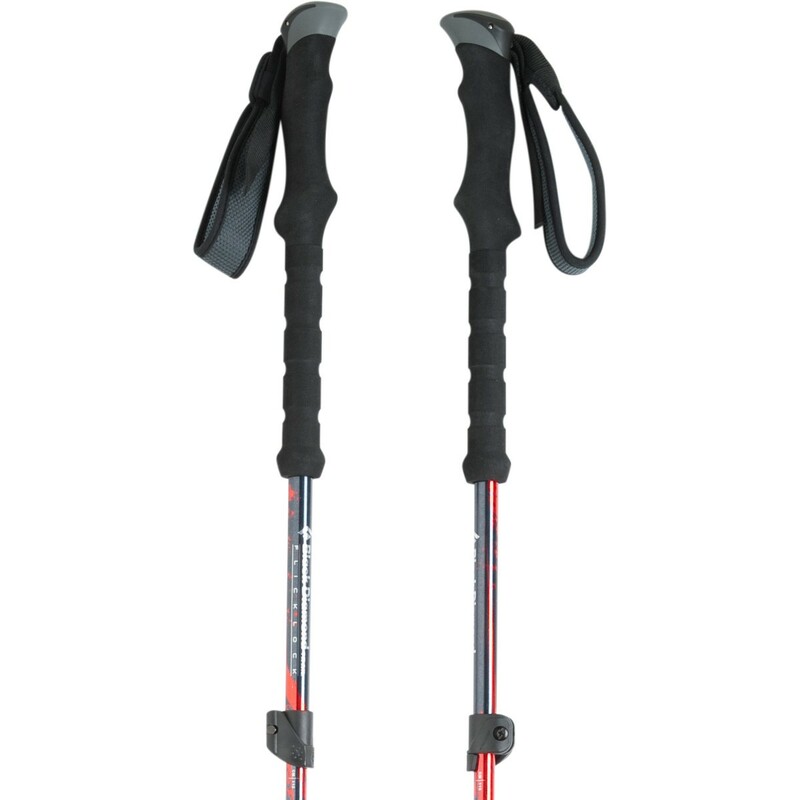 RELATED: Should I get trekking poles for snowshoeing, or stick with ski poles? 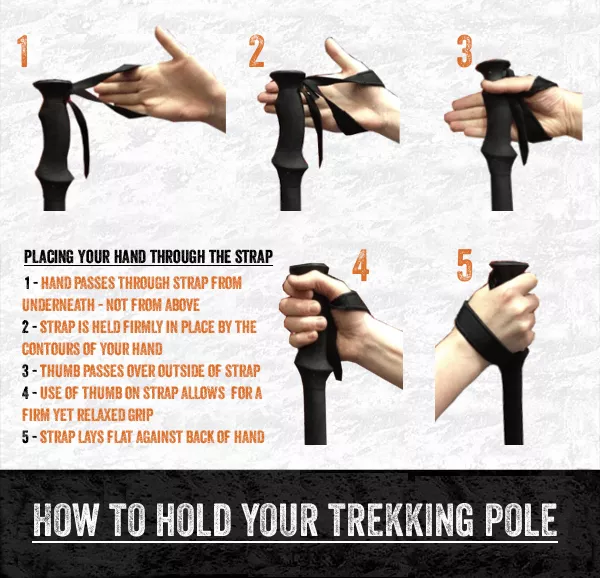 First of all, trekking poles will change the way you hike forever. They are a luxury that saves your legs a lot of exertion, sparing you a lot of energy, allowing you to enjoy yourself that much more. 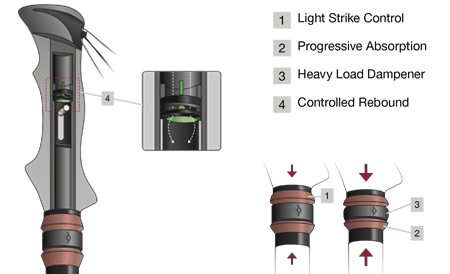 Trekking Poles have a lot of features that XC pole lack. By comparison, XC poles are nothing more than a lightweight stick. Personally, I would never ski with a pair or extendable XC poles, I can;t see the benefit of having a pair unless you intended to share them with a number of people who were all different heights. I imagine they're designed primarily for rentals, or inexperienced skiers who don't know what length of pole to use, or people who want them just because their fancier? Anyways, they're pretty much pointless, you don't need to change the length of your poles while XC skiing. Adjustable XC poles are useful if the snow either side of the trail is significantly higher than the floor of the trail, i.e. you're skiing in a deep rut and there is a hard crust on the surrounding surface. I have a bee in my bonnet about this one. Conventional trekking poles evolved out of ski-poles, but they have a different function and simply don't work very well for walking. The warning sign is that you need to resort to the artificial expedient of straps to actually hold on to the things. This can be inconvenient, uncomfortable and puts unnatural pressure on the joints. 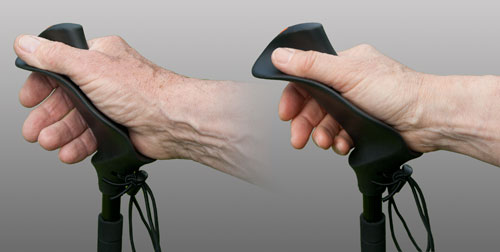 A small UK company has produced what in my experience is an objectively better approach, with an ergonomic handle that channels the weight safely and comfortably to the root of the hand without any need for straps. It also encourages good technique by ensuring you hold the poles at the correct angle. I've used them extensively, and would never go back to a conventional pole. It's hands-down a more comfortable and efficient design (pun intended). The industry showed no interest in a product that challenged their current offerings, so the inventor set up her own little business to produce them. The PacerPoles have a devoted following in the UK, where they are used by most of the best-known writers and reviewers such as Chris Townsend, but they are little known elsewhere. Now the process has gone full circle and people are using the PacerPoles for skiing. It's a very conservative market niche, and this is the only meaningful development I'm aware of in the field. But I would encourage people to think outside of the box and not to settle for an inherently flawed design. Not the answer you're looking for? Browse other questions tagged gear trekking cross-country-skiing or ask your own question. Should I get trekking poles for snowshoeing, or stick with ski poles? NIS mounting plate for x-country skis: why only for NNN bindings? What are the possible risks of exercising at high altitudes?